i've always enjoyed reading. it's a pastime/activity that can feequently pay dividends, especially if, like me, you spend a substantial portion of your week writing stuff. a combination of reading and persistent writing, hopefully results in a constant improvement in that i present to others. a work in progress if you will. however, the ever onward and upward state in which british cycling currently finds itself, has resulted in a constant stream of books, the like of which has probably never been seen before. i commenced reading and reviewing in mid-may and it still continues to this day with very little sign of abating. i believe the phrase is 'like a pig in sh*t'. if there is anyone with a romantic view of cycling road racing, this book will disabuse them. 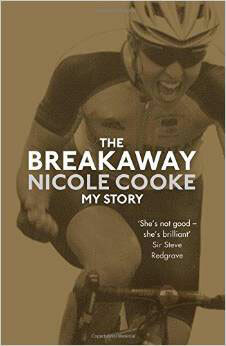 nicole cooke, a prodigy, made things change during her career from her early days as a schoolgirl racer to her retirement shortly after the london olympics. in a fast moving narrative she shows amazing recall of her races and events off the bike that matured her quickly and which might have destroyed a lesser person. that is the point about nicole cooke. tenacious, forthright and articulate, she took on the cycling establishment in britain and forced it to change direction. officialdom did not take kindly to a girl, supported by her father, who could quote their own rules back to them and prove the unfairness of their application. cooke consistently reminds us that cycling was organised by men for men. her first victory in the british women's road race championship in 1999, the youngest rider, aged sixteen, to win the title, did not engender approval, and certainly not admiration, in some quarters. observers at british cycling (bc), for example, regarded it as a fluke. supported by family and friends, she finished ahead of girls on the world class performance plan (wcpp), full-time riders supported by bc on the largesse of national lottery funding. this sometimes spiteful attitude influenced cooke's dealings with bc although she is fair in ascribing a change, if not consistent, in later dealings with the governing body. we will return to this theme a little later. 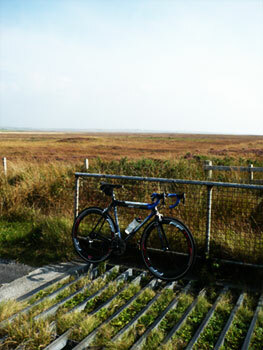 exposure to continental racing has been the traditional way for british riders to gain experience. at the age of eighteen cooke, following disagreement with bc, joined an italian team. she learned the language and absorbed the culture of a foreign country. early success set her apart as rider to watch. however, a strong work ethic led her to overtrain, a characteristic that reappeared regularly throughout her career causing injury and for which she paid a heavy price with her health. the first brit to win a major tour, the giro d'italia feminile in 2004, an accomplishment achieved several years before sir bradley wiggins's tour de france victory, is largely ignored. however, her palmares is unique among women racers. olympic road race champion in 2008 and world road race champion in the same year, winner of the women's world cup more than once, prolific winner of classic races abroad and british championship victories over a decade offer a flavour of her success and seal her career. 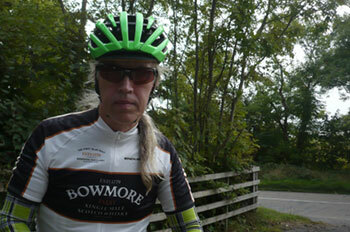 bc blew hot and cold over women's road cycling, sometimes supportive, at other times inconsistent and unhelpful. interestingly, cooke claims that at one point she learnt that she could enjoy the benefit of being on the wcpp whilst simultaneously riding for a trade team. bc denied this agreement, later proven to be correct, and it subsequently led to a high level resignation at headquarters. twin themes run through nicole cooke's career. firstly, with notable exceptions, the failure of journalists to address doping and their reticence in the lance armstrong case. secondly, sexism in reporting women's cycling. here we revisit the sport's organisation. 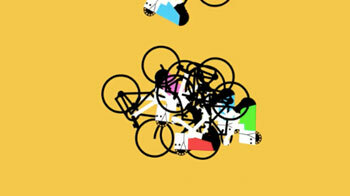 cycling was run by men for men and change is a slow process obstructed by the uninformed and the prejudiced. cooke's stand on doping is unequivocal. there are no good dopers and no bad dopers, only dopers. she draws no distinction. lance armstrong and his ilk cheat the fans and take away the livelihoods of others. they discourage potential sponsors, particularly of women's cycling. she excoriates bc for its fawning over drugs cheat david millar, regarded by some, not least himself, as the anti-doping apostle. a recent team-mate opined that women's cycling and men's cycling were now clean. thank goodness for nicole cooke. islay's history has a substantial basis in agriculture, something that continues to this day, though a local industry that employs far fewer folks than was once the case. that state of affairs is not one, however, that pertains specifically to the hebrides; mechanisation and ever larger tractors has seen to that. the bulk of islay's farmland is occupied by beef cattle and sheep, the dairy herds having been dispensed with on closure of the island's creamery some ten or so years ago. an increase in the quest for end to end whisky distilling has, in the interim, led to more than just a few farms taking an interest in the growing of barley, making one or two malts entirely home-grown products. with the historical division of farms and grazing land, the need for separation was often taken care of by inserting cattle grids into the single-track roads that infest the outer reaches of the island. having seen several sheep jump clean over these when trying to avoid an incoming cyclist, one does have to wonder about their efficacy, however. but with the dawn of modernity, coupled to a steady decrease in the island's population, some of these grids appear to be somewhat surplus to requirements. 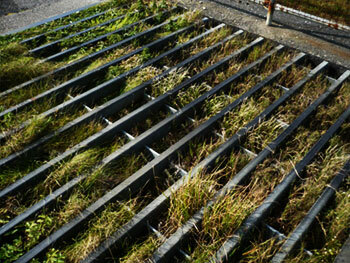 according to the island's roads manager, most of the cattle grids were placed either by, or at the behest of the surrounding farms, but once in place, they become the responsibility of the council. many of the ageing grids consisted of individual spars bolted to a iron framework, and over time, these have worn loose, mostly as a result of those enormous tractors i mentioned previously. therefore if any become due for repair, the council contacts the responsible farm to enquire whether the device is still required or not. if not, the grid is removed and the hole filled in. many still exist, however, though i'm darned if i can figure out why. several in place on the road out near saligo bay haven't seen hide nor hair of a sheep or cow for many a long year. but cattle grids, whether of dubious function or state of repair, have a secondary purpose, one that i have taken advantage of on more than a single occasion. for though many of the approach roads are in a sad state of disrepair themselves, there's nothing like interrupting a fast roll out with a metal cattle grid to give a pair of review tyres or wheels something else to think about. generally speaking, though the unfamilar rider has been known to dismount and wheel the bike across (yes, really), the regular process would be to raise one's backside off the saddle and freewheel across. when reviewing wheeled products, this process is ignored, and the conscientious reviewer simple hammers across in the manner of cavendish readying himself for a sprint (rather obviously at a slightly lower velocity). if tyres or wheels can sustain this sort of repetitive behaviour (one of my routes has a total of six cattle grids) there's a good chance they'll survive more regular tarmac. that's precisely what i did to the fast forward wheels. 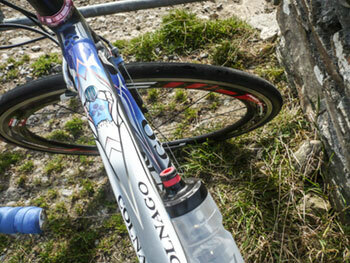 you may recall my recent review of the very same items affixed to my cyclocross bike rolling on a pair of challenge limus cyclocross tyres. 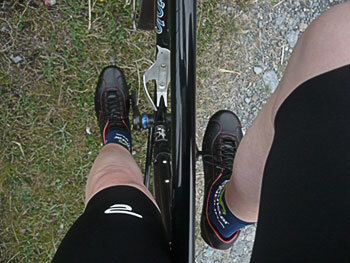 the latter are hardly the ideal match for travailing the backroads of islay, doing my finest bram de groot impersonation, so the challenge tyres were swapped for a pair of clement strada 25mm road tyres, pretty much the same width as the fast forward rims, offering the ideal profile to any incoming headwinds. in fact, when ploughing into those winds, the wheels advertised their unique selling point, easing the gruntwork that is a corollary of any strength of headwind. crosswinds, however, are largely the bigger problem; deep carbon rims act pretty much as sails when attacked by crosswinds, apt to catch even the expert (no laughing at the back) unawares when exiting a small humpty back bridge. the fast forwards are affected by crosswinds, but not as much as i'd expected, and i did spend a fair few hours out and about in strong (but not quite galeforce) winds trying very hard to unsettle their constitution. 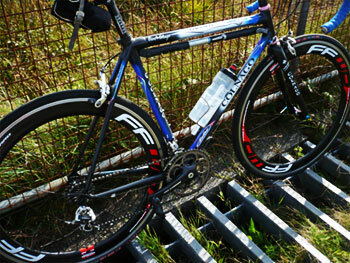 as noted in the previous review, these are not the lightest wheels on the market. this, ironically, works in their favour when faced with those headwinds, for once you've reached escape velocity, the rolling momentum makes it easier for ten-stone weaklings to maintain that speed. however, ride them up a hill and that weight starts to make its presence known. granted, they don't ride as heavy as their 1900g would suggest, but they certainly confer no advantage to the aspiring grimpeur. 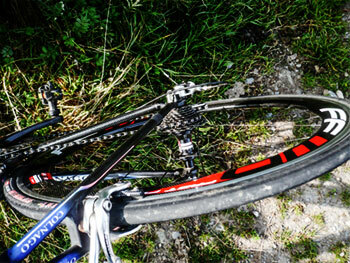 taking both road and cyclocross ventures into consideration, these are a rather fine pair of wheels. they're certainly not the cheapest on the market, but considering those cattle grids mentioned earlier, and the decrepitude of the road round loch gorm, they're every bit as true as the were when lifted from their wheelbag. the alloy braking surface is an excellent advantage on fast downhills; when that visitor's car stops suddenly for no apparent reason on the downhill at foreland, it was nice to know that i wouldn't be having a closer look at the woollen jumpers on the rear parcel shelf. if you're in the market for a well-made pair of wheels with all the benefits of carbon yet no need to fit carbon-specific pads, these may well be for you. however, there will need to be quite a lot of pennies in that piggy bank. german drummer thomas lang deserted his endorsement with sonor drums and moved to the american drum workshop company, a situation that not unnaturally was exploited to the hilt by the latter's marketing department. oddly enough, the sponsorship situation in the music world exists in almost exactly the opposite manner as that in the sporting milieu. a drum company does not sponsor the drummer (as such), the drummer endorses the drum company. no, i don't understand it either. thomas lang is one of those kit percussionists who has all but drummed himself into a corner, finding most of his public performance by way of clinics for dw. during these forays into showmanship, his technical ability verges on the scary, and is fawned over by many an aficionado, despite the musical impracticality of many a superfast double bass drum roll. despite the growing complexity of contemporary ceilidh accordion music, (only kidding) i have yet to find to find an opening or opportunity for any variation on double bass drum patterns. however, when pictured by dw's publicity department in front of his sizeable drumkit, i cannot deny that some of the hardware used in the photo shoot garnered some personal appeal. playing in a rather loud band at the time, i ordered a series of heavy duty stands that would do justice to a saturn v rocket in order to create visual appeal and keep my drums as rock steady as i'd always hoped my drumming might be. this hardware was everything it was meant to be and fulfilled its promise as advertised, but very much at the expense of mobility and my aching back. this sort of came to a head at the islay jazz festival a few years back when i lent my kit to a visiting drummer and both of us had to puzzle out quite how we'd bring the ride cymbal to a low enough height that did not require a step ladder to reach. currently, my drumming proclivities lean towards the less voluble, and i have less and less desire to cart about heavyweight equipment when there are far lighter items of hardware that perform remarkably similar functions to those preferred by nasa. drum hardware such as this is regarded as vintage, resembling as it does that used by drummers in the 1950s and 60s. possibly contemporary drummers have a proclivity to hit harder than buddy rich, gene krupa or max roach, but i doubt that's something that concerns guys like thomas lang. i cannot but raise a smile when comparing old with new, for there's a sweeping generalisation that contends modern cannot but be substantially better than old. if you have a road crew behind you, that may be a moot point, but for those of us who have to cart our own gear as well as set up and take down the set before and after gigs, modern vintage may well be the way to go. 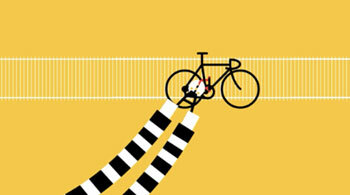 it's a philosophy that informs certain aspects of the cycling world too. carbon may make commercial sense, along with ever-increasing stiffness (a factor i cannot but help feeling is being imposed rather than introduced), but in truth, steel has a lot going for it still. and while dye-sublimated polyester may result in simplicity of intent, wool and sportwool can be seen to be every bit the equal of the latter for those of us not party to the inside of a death star. 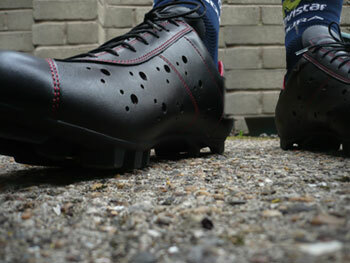 this continues even as far as cycling footwear; modern synthetics with lightweight carbon soles and ingenious closure systems may be the bread and butter of the professional peloton, but in truth, laces and quality leather are both man enough and comfortable enough for the pelotonese. you'd almost be forgiven for thinking that the progenitor of fabulousness in leather footwear dromarti had moved into the sitting room and hidden behind the sofa for the last year or so, but it turns out that dromarti is alive and well and continuing to offer two distinct ranges of leather fabulousness. previously hand-crafted on italy's adriatic coast by marresi, dromarti's martin scofield has now shifted production further east, principally due to irregularity of supply. in so doing, the cleat-free storica model has disappeared from the range, though both the race and sportivo models still survive in both black and a rather superlative wine red. the packaging has also immeasurably improved. moving on from the often flimsy red shoeboxes provided with the previous incarnations, dromarti leather shoes now arrive in a more substantial blue and burgundy box bearing the dromarti monogramme, as indeed does the heavy cotton bag containing the shoes inside. neither may have any direct bearing on the fit and comfort offered by the footwear, but it does pre-empt the luxury contained within. i have reviewed models from the previous range on more than one occasion, but was particularly interested to learn how the latest incarnation compares. the answer, put quite bluntly, is very well indeed. visually, the shoes are all but identical to their predecessors, though on the black sportivo review sample (fitted with crank bros. spd style cleats), i figure the padded tongue to be of improved proportions and perhaps greater comfort. in fact, the latter factor seems to pervade the entire shoe; there is tangible substantiality to the current dromarti range (the word dromarti is now de-bossed in the leather rather than marresi) which seems to have resulted in a level of comfort only hinted at by the originals. 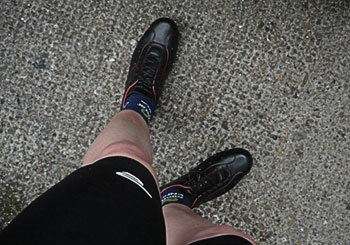 the fit of the size 44 reviewed was well nigh perfect; neither too narrow nor too wide, offering plenty of support without cramping the style of either foot. on the sportivo shoes, the most noticeable aspect is a differently patterned sole, very much to the benefit of the wearer. though the sole feels stiffer, the chunky tread puts a delightful spring in the wearer's step. i cannot deny, however, the occasional newness squeak on the lime green candy pedals, a noise i'd expect to disappear after a few more rides. in terms of their offroad capabilities, leaping off the hakkalugi and climbing a narrow, steep and rocky path with a copious covering of green undergrowth, they offered no cause for concern. 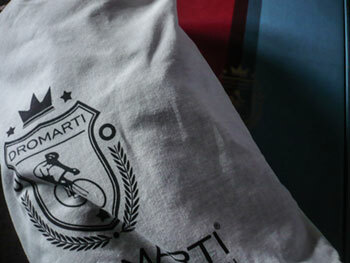 the italian workmanship of the marresi branded leather was impeccable. 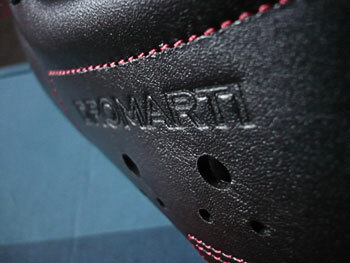 i have several pairs of the italian branded dromarti shoes that have been put through the mill with less than conscientious regard for their wellbeing. this new incarnation is, in my opinion, better. granted, i've not possessed this pair for anything like that of the others in my imelda marcos shoe cupboard, but quality is hard to conceal, even or perhaps especially because of their vintage constitution. i learned to tie my laces around age six; it was good enough then, and it's every bit as functional nowadays. walking into the coffee shop with feet clad in quality leather laced shoes may or may not confer additional status upon the wearer, but when all the modern-day, team-issue footwear takes on the mantle of has-been, these will still look and function every bit as well as their early twentieth century antecedents. 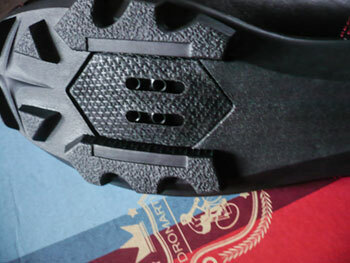 as it says on dromarti's website "We believe that you will find these to be the finest most beautiful and comfortable cycling shoes you have ever owned." they're not wrong you know. over the past couple of months, i have received unsolicited calls at work from bona-fide firms wishing to help me in my daily computer chores, allegedly to the benefit of both them and me. once we're past the opening pleasantries, it's down to business; "so mr palmer, can i ask about your back up strategy...?". i confess that a few years ago, such a question would probably not have elicited a favourable or comprehending answer, but now that i'm pretty much au fait with such technological terminology, i can offer a response that appeases their salesperson, while maintaining the impression that i actually know what i'm talking about. while calls such as these are, as i said, unsolicited, in point of fact, they're not the sort that ought to be dismissed out of hand. however, in common with mrs twmp ordering a new pair of shoes, then discovering that matching gloves, handbag and any other number of accessories have suddenly become necessary, the opening gambit eventually leads to more and more. surprisingly enough, we do have a corporate backup strategy, ensuring that all the data that might conceivably be necessary to the running of the business is regularly copied onto external disks. 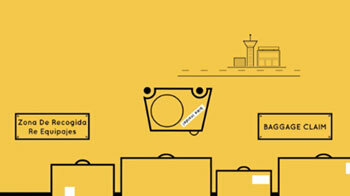 but, as all these callers are delighted to enquire, where do we store those backups? like many who have failed to consider each and every scenario that might befall even the partially confident, the disks sit adjacent to the computers they're responsible for backing up. step two of each phone call is to point out that were someone to break-in (unlikely) or the building to burn down (well....), how quickly could we be back up and running? though the foregoing refers to a feature of our modern, computer based world that everyone would do well to heed, it has parallels in other walks of life. given our predilection for the bicycle and a not unnatural perceived need to hang onto our own for as long as possible, there are many factors to consider. often these depend greatly on our own personal circumstances and just where in the uk we are domiciled. as i pointed out only a matter of days ago, islay is amongst one of the safest places in scotland to leave a bicycle unattended. at its simplest, this may be due to the fact that i have struggled for over twenty-years to encourage the local population to leap aboard their bicycles en-masse without any notable success. thus, there is no market for stolen bicycles. and if i can't get folks to ride them even once a week, they're hardly going to take the time and/or trouble to go pinch one. therefore it could reasonably be argued that my paying for insurance against theft would be something of a pointless and potentially expensive undertaking. that effectively makes me immune to advertising that suggests i might wish to partake of any offer. but while it might be very unlikely that any of my bicycles will be purloined by another, there's always the chance that my ineptitude (particularly when playing at being jeremy powers) could cause expensive damage to bicycle or components. or both. and that is precisely where my backup strategy could be seen to be lacking. in common with many other cyclists, i cannot recall any cycle insurance advertisement that has lept from the page and slapped me on the face. as i sit writing these words, i'd struggle big time to think of any brand that i might google for further information, though i'm sure i'd manage to find something of interest on the interweb if i looked long and hard enough. as an homogenous group, we are known to be incredibly fickle; we're notoriously hard to please, and that has to be a hard sell for anyone trying to flog insurance, or anything else that doesn't involve shiny carbon fibre. the very fact that i am cold-called by technology companies interested in discussing backup strategies, if nothing else underlines the modernity of the world in which we live. and if this is the bold modern world, then a bold modern approach ought to appeal to the present day cyclist, living in times when others think nothing of removing property that lawfully isn't theirs. the inestimable richard mitchelson arguably redefined the cycling-related coffee mug, the telling of major landmarks in cycling's recent history and one or two twitter avatars. his animation skills have previously served the world of cycling remarkably well, his pedalling eddy merckx having hit the ground running, and his plastic 'cav' and 'eddy' figures meaning cycling toys will never be regarded in the same light again. if anyone can sell insurance to the pelotonese, it would be richmitch. and once again, i find myself in good company as regards this consideration. yellow jersey cycle insurers have employed richard's blatant talent to create the lovable character yj, to whom we are being introduced as an amalgam of all our insurance naiveties, principally the two outlined above. as with many a brilliant idea, simplicity is well to the fore; no green screening, no stunt doubles and no cgi. 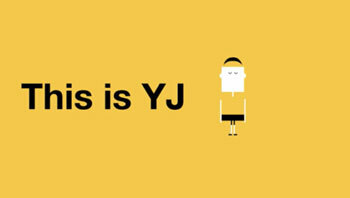 just yj and the misfortune that can befall the unwary or unfortunate and their bicycles. genius is a dramatically overused term nowadays, one that i have oft times been guilty of repeating, so let me just say that this is damn clever, and highly entertaining to boot. not to mention i can now recall the name of a cycle-specific insurance company without resorting to google. next week sees the start of the world road cycling championships in ponferrada, spain, culminating in the men's road race on sunday 28 september. however, for an ever-growing section of the cycling world, the minute the tour de france ends in the latter days of july, there's only one form of cycle racing that occupies their focus: cyclocross. if i recall correctly, the minute nibali had guaranteed that yellow jersey on the paris podium, someone was already on twitter to announce the start of the 'cross season. though many of the more recent developments in cyclocross technology, most notably that of hydraulic disc brakes, have been aimed at easing the strain in the mud, there's no real reason that cyclocross ought to be confined to the winter months each year. though i've never raced cross (nor am i ever likely to do so), it strikes me as every bit as exciting to watch in the sunshine as in rain, hail or snow. in fact, many word championship races have been raced over dry ground. within the realm of scotland, just such conditions have been catered to by edinburgh's rondebike via their annual haughcross race in early august, but the tradition behind cyclocross allegedly stems from road-racers in the early part of last century devising a means of keeping themselves fit in what was once referred to as the off-season. this mostly entailed challenging each other to races between french and/or belgian villages, using the fastest means of getting there by way of fields, streams and the odd rocky outcrop, hence the need to shoulder the bike for brief periods of time. however, aside from the competitive element that is a part of every cyclocross race, its emergence as a family sport in north america, more specifically in portland, oregon, has brought alternative dimensions to the average rock around the block. hazards such as foam tunnels, whisky handups and many an accompanying foible have brought in a different kind of racer as well as a complementary appreciative crowd. and there's no real good reason to remain clad in team jersey and lycra, when fancy dress would surely add to the spectacle. the ideal time for introducing the latter would surely be at october's end, when it's dark, there are ghouls about and it's hallowe'en? 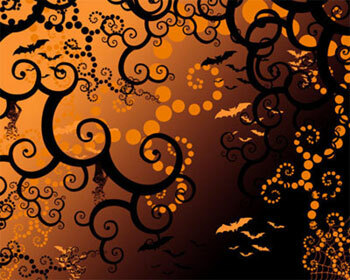 something entitled hallocross for instance. james mccallum is well known for his time at rapha condor jlt, winning the scottish road race championship and his subsequent dubbing as the king of scotland. jimmy moved onto nfto for the 2015 season, but with an apparently reduced race programme that did include the commonwealth games road race in his home town of glasgow. with retirement looming at the end of this season, he's keen to stay closely involved with cycling, the first step of which was to organise the 2014 edition of hallocross. with no disrespect, jimmy's perhaps better known as a road rider than a cross rider. 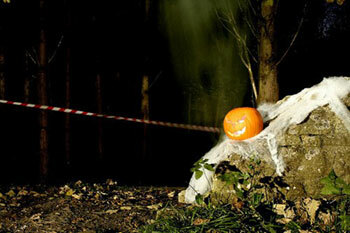 what brings the king of scotland to organise a hallowe'en cross race? "Cross has always been close to my heart. However I've never really had the chance to get properly involved due to my road or track commitments. "My organising of the event came around randomly and then escalated pretty quickly from a conversation on the bike one weekend. Hallocross had run for the previous two years but due to circumstances it wasn't going to be on this year. "So I thought let's do this. I hate to see great events get lost. Hopefully I can do it justice." for those, like me, hearing of hallocross for the first time, having been blissfully unaware of its previous existence, there are one or two questions that need answering. 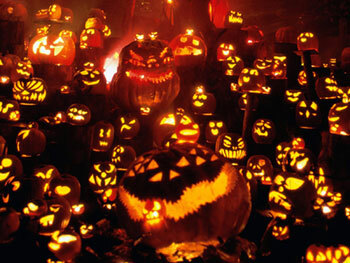 hallocross takes place in dalkeith, but a few miles south of edinburgh on friday 31 october, coincidentally, hallowe'en. knowing is one thing, entering another. 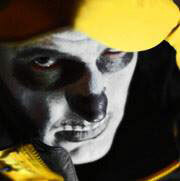 so how would the intrepid, fancy dress cyclocrosser gain entry to this event? with rapha's supercross due to take place at the beginning of october as well as scotland's own cyclocross series, there's likely as much variation on the standard version of cyclocross as there is in the flavours on a shelf of instant porage oats. in which case, could jimmy tell us the difference between a regular scottish 'cross race and hallocross? "Firstly, it's the only event in which you get to dress up at night and get muddy. Secondly it's a single race instead of the standard four or five races you would be used to at an SCX event. This is mainly due to the timing of the event." many a position on a committee or sub-commitee has been held due to either having been in the wrong place at the wrong time, or not being in possession of an excuse that didn't actually sound like an excuse. at which point it becomes all too clear that no-one else would have touched that gig with a barge pole, and you're left to get the job done all on your own. 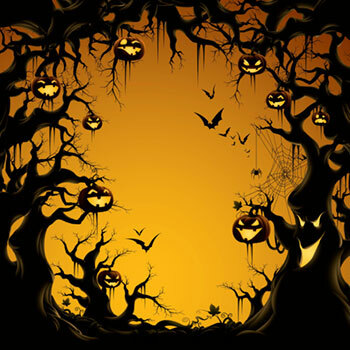 in the case of hallocross 2014 is jimmy flying solo, or is there a merry band of assistants wheeling and dealing on his behalf? "I'm pretty much flying solo on this one at the moment. However, I have been inundated by people from all over the 'cross community offering assistance. "I'll defo be taking some of the offers up." having just spent many a long hour rehearsing for the recent lagavulin islay jazz festival, i and my fellow music-makers have decided that this effort would simply go to waste if we didn't capitalise with the occasional gig now and again. the same situation surely beckons to james mccallum; why lose the skills acquired organising a single event without bringing them to the table a few times more. will this be the first in a series of mccallum organised events? "Yes definitely. I have a fair few plans up my sleeve at the moment. I'm lucky enough to have been really spoilt in my racing career and seen a heck of a lot of what we can do at events to make them better. "Having worked in events previously, I can see so many holes that need filling and I plan on doing just that." is hallocross open to all comers and will jimmy be taking advantage of the fringe benefits afforded the organiser and participating himself? "Yes. The race is open to all those over 16. There are only 150 places and it's already over half full. Basically: Wake up, Dress up, Turn up!" so what does the former racer do when the civilian life beckons? simply because there's no finishing line to contend with, no team car following on each ride and the washing machine finally gets a break from a daily diet of jerseys and bibshorts? the mccallums recently became parents for the first time, and as many of us will already know, the first twenty-seven years are the worst. food, clothing, shoes, buggies, toys, bedding, and that's only for jimmy. is hallocross the first step in a post race career? "It sure is. I'm currently in the process of starting a few new projects. Now that I have more time on my hands, I want to expand my coaching business as well as get started on putting on some proper bike races for the bike racers in Scotland. 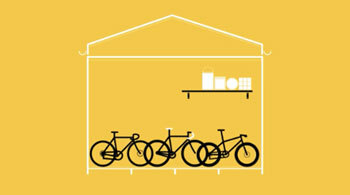 "Cycling's shop window is events. If we don't put on great events, our sport won't continue to grow. Scotland has so much potential for growth and I want to do all I can to help it grow." aside from the friendly folks, the wide open spaces and for some, the eight malt whisky distilleries, islay is a marvellous place to live because any crime that may exist tends to come under the heading of minimal. sure, there's the odd bicycle that disappears, but more often than not, it's been borrowed after a hard friday night out in a drunken effort to get home. 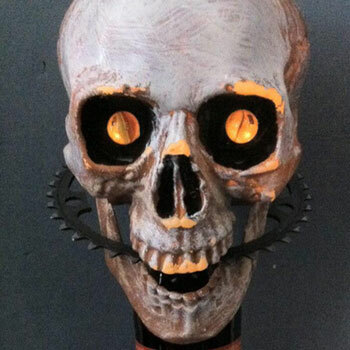 usually found forlorn in a front garden. lots of folks don't lock their house or car doors and the folks at ardbeg distillery left me with the keys one night while they visited the ark royal for dinner (long story). you can tell when summer season begins because bowmore main street is rife with (visitors') car alarms going off, and it's the only time of year when you'll find bicycles padlocked to the bike stands sited on the village's pavement corners. it's a far cry from the urban jungle where you'd scarcely lay your newspaper down on the bus seat, lest it disappear into the wide grey yonder. as a theory, based on little more than occasional observation, i figure it's mostly due to everybody here knowing everybody else. if we ever had any notions of pinching something, there's a pretty good chance we'd know who it belonged to in the first place. that fact alone likely mitigates against any prospective wrong-doing. of course, i could be incorrect. however, i and my fellow hebrideans no doubt count ourselves quite fortunate that this is the case, particularly with reference to velocipedinal matters. i receive an infrequent stream of brand new and often expensive bicycles for review, all of which are a fairly safe bet to be left outside debbie's while supping froth, with the confidence that they will still be exactly where i left them at time of departure. thus, the substantial chain lock that i purchased to use at the time of riding the tweed ride several years ago, still occupies a hook in the bike shed, having remained there since my return from london. however, though the chorus of car alarms and humour of watching touring cyclists locking their bicycles outside the cottage restaurant may be the ideal diversion for the island's residents, in point of fact, it's as well that these habits are not dispensed with during a relatively brief visit. for were the subjects of our mirth and silent derision to become used to the laxity that prevails this far west, they may well continue that on return to less amenable locations. when one has to contend with thieves equipped with bolt cutters taller than the average person and even motor driven grinders, there are few locks available today that will fend off such driven attacks, yet still remain light enough to be carried in the first place. i have seen cycling apparel with loops and straps, enabling the security conscious to take with them an appropriate means of defence against the dark-side. 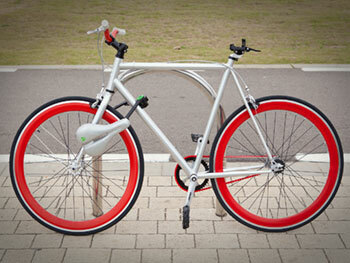 but ideally, any theft protection devices ought to be easily carried upon the frame of the bicycle, or perhaps even become part of it in the first place. several of the entries for the oregon manifest competitions held over the past few years have incorporated some particularly ingenious solutions, but the recently revealed seatylock may be one of the cleverest and most innocuous means of retaining ownership of a bicycle i've so far come across. for the eponymously named seatylock forms an integral part of virtually any style of bicycle you may care to mention, yet is all but unseen in use. 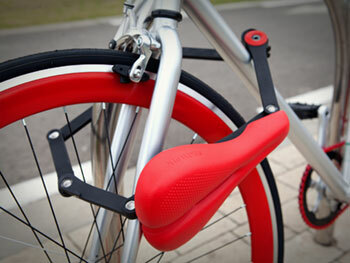 basically put, the seatylock is a bicycle saddle that can be removed from its regular position atop the seatpost and transformed into a solid bicycle lock. this is achieved by opening out the structure forming the saddle rails before lacing them through the frame, wheels or perhaps both. when it's time to remount and head elsewhere, the seatylock can be simply unlocked, re-folded and clipped in place back on the seatpost. the steel links forming the seat rails/lock are manufactured from hardened steel and coated to prevent damaging your bicycle's paintwork. 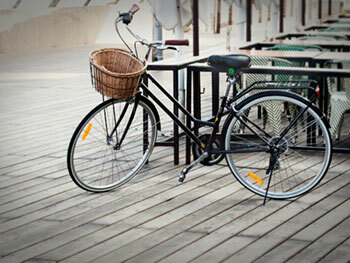 saddles, of course, are one of the most variable features pertaining to daily bike use. 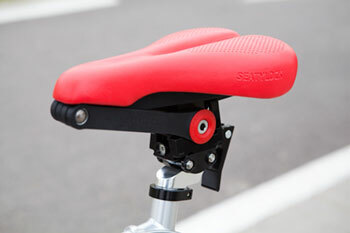 the very saddle that offers me comfort and joy may be akin to a bed of nails to another, making it fairly important that the seatylock not only protects your bicycle but also your posterior. at the point of entry via the kickstarter campaign linked below, there is a choice of two styles: trekking and comfort, both of which feature a central slot for relief of pressure on the undercarriage. if my explanation of just how this innocuous looking bicycle seat can manage to repel all boarders seems a tad on the confusing side (and i can appreciate i may have been less than clear), nip on over to the seatylock kickstarter page with flexible plastic in hand, to view the presentation and explanatory video. if you reside in an area renowned for bicycle theft, or your current lock is a bit of a pain to carry about (in all senses of that word), you may care to consider an investment in its cleverness. scarcely a week goes by without some section of the cycling press, both print and virtual, bringing news of the latest in technological advancement by the white-coated boffins kept in secluded isolation in a locked back room. nowadays most of these seem to revolve around fluid dynamics and finite element analysis, subsequently refined using both 3d printers and expensive wind-tunnel testing. such is the dependence on the latter, that one or two of the larger manufacturers are now bringing this portion of practical testing in-house, having built their own wind tunnels. aerodynamics are the new black. yet little, if any, of these advancements have considered associated factors. it's not always the case that what makes aerodynamic sense is aesthetically pleasing, and no matter how fast it goes, if it's pig-ugly, it'll probably stay on the shop floor for longer than commercially viable. no amount of painting a brick all the colours of the rainbow will entice someone other than a builder to buy it. and that too is an area of research that suffers from ignorance and relegation despite our knowing the substantial difference that a decent colour can make to the perceived speed of your average velocipedinist. 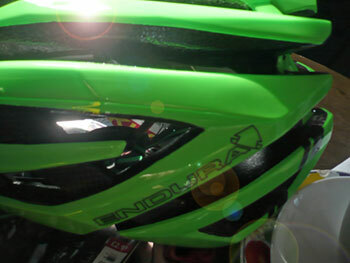 take endura's second generation airshell helmet. to all intents and purposes, the untrained eye will see little visual difference between the scottish firm's initial offering and the latest in shiny headwear. however, what livingston seems to have discovered in the period between versions one and two is just how much of a difference colour can make. it's not so many years past since many a motoring manufacturer offered sports versions of their bog standard fare, augmenting it with brighter colours and go-faster stripes along each side. if you were lucky, there might even be a pair of bucket seats similarly striped. if the standard version was offered in tasteful blue or burgundy, the sport version could be had in orange, white or lime green. which brings us smoothly into the helmet that i have been wearing on my head for the last few days. it's not only lime green, but a massively forceful lime green; if i had to ditch in the sea at any point during the sunday ride, the helicopters would find me first. and it's surely no secret amongst the cognoscenti that lime green is worth at least an extra 5kph (a factor on which endura's jim mcfarlane and i are in total agreement). though the professionals may be willing to put up with all manner of inconvenience with the promise of extra speed, few of us are similarly constituted. when we hand over our hard-earned £89.99 we're far more interested not just in the pantone shade of green, but whether it will protect our intelligence centre and cosset it with luxurious comfort. in this latter respect, the airshell is like a new helmet compared to its retired elder brother, and it was no slouch in the head protection stakes in the first place. i'd be kidding if i said i knew how they'd achieved this for the price, but in version two, the subtle but highly effective changes seem to be mostly confined to the internal roll cage. the webbing strap is now connected to the cage rather than directly, to the helmet itself. this can still be adjusted via an easily operated dial tensioner at the back of the head, creating a snug fit either with a cycle cap in place or not. the comfort seems to have been immeasurably improved by connecting all of the internal padding into a single unit, rather than the two brow pads being separate entities. while some folks might admit to having a favourite bicycle, pair of shoes or socks, or perhaps even a jersey or shorts, i now have a favourite helmet that voids any thoughts of "sorry mate, i didn't see you." and makes me 5kph faster even when i'm standing still. imagine the trouble that gave when trying to take the accompanying photographs. for the less ostentatious, or those who have little need of free additional speed, the airshell is also available in more sombre shades of white, black, red or silver for the same £89.99 in three different sizes. i'm convinced that at some time in the near future, the accounts department in livingston is going to realise that one of the buttons on their corporate calculator isn't working, so if you're in the market for a new helmet, get in there quick. 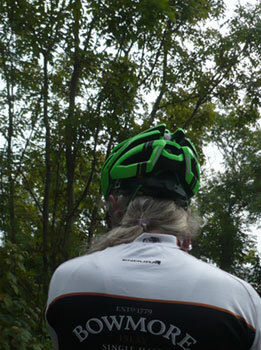 added to the promise of all the safety a cycle helmet can provide, it even has go-faster stripes.